Did you launch your website but not receiving good results, your business will grow as your website grows, if you are not receiving 10-15 hits on a daily basis, its worthless to have a website. Your website may look great, it might be the best possible work one has ever done, but what is the use of a website which receives no daily visitors? Every penny that you have spent on it, whether its the domain name registration, website hosting or website design, everything is at loss. Stop wasting time on improving website design or advertising on other website to receive daily hits, we have been in internet business since 2005 and we have our own channel, with which we can not only enlist your website with major search engines but can also help to attract visitors from different places. 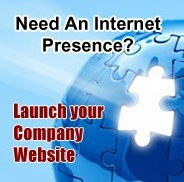 Need to advertise about your business on the internet, we can handle your advertisement requirement, we can reduce the amount you spend on regular advertisement, but can also help you to grow your business with different advertising techniques we have learn from several years of practice. For more information on Search Engine Optimization or Online Advertisements, please contact us through email or phone and we will send a sales representative to discuss further. We have partnered with many internet service provider companies like Google, Yahoo, MSN/Hotmail, we can help you to place your advertisement on most of the happening online portals from india and other parts of world, we are just a phone call away. Kolkata Web Hosting offers Search Engine Optimization from Rs. 15,000.00 - Rs. 4,75,000.00, depending on ecommerce aspects and complexities.